1) "Make every detail perfect and limit the number of details to perfect." 2) "You can worry about the competition...or you can focus on what's ahead of you and drive fast." 3) "Twitter was around communication and visualizing what was happening in the world in real-time. Square was allowing everyone to accept the form of payment people have in their pocket today, which is a credit card." 4) "It's really complex to make something simple." 5) "You don't have to start from scratch to do something interesting." 6) "A founder is not a job, it's a role, an attitude. And it's something that can happen again and again and again, and in fact it has to happen again and again and again, otherwise we would not move forward." 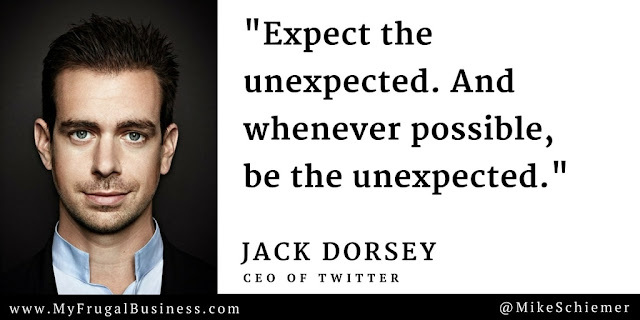 7) "Expect the unexpected. And whenever possible, be the unexpected." 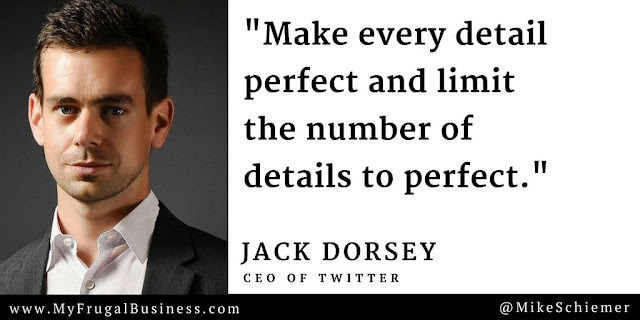 Thanks Jack Dorsey for all of the motivational business quotes! I hope you enjoyed this article about motivational startup quotes from Twitter Founder & CEO Jack Dorsey. 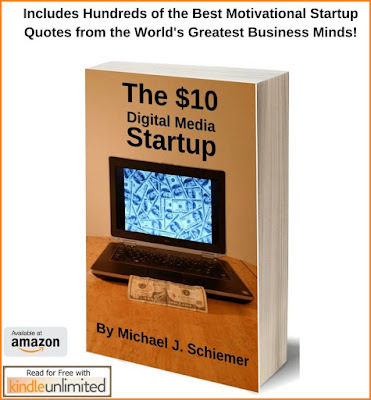 Interested in more articles about social media marketing wisdom?